I wanted to finish my series on book reviews with a step-by-step guide on how to acquire book reviews. If you’re a self-published author, you are the one who must contact reviewers, either before or after your book’s release. Even if you are traditionally published, you can assist your publisher by finding potential reviewers. 3 - Note the time frame for reviews. How long will it take? Also note when they want to receive the book - before or after the release. (Review copy/ARC or finished product?) And where do they post those reviews besides their site? 4 - If you are self-published, note if they take self-published books. Also note if they take Ebooks or require print. 5 - If it is a website, browse their previous reviews. If it is a blog, in addition to checking out the reviews, follow that blog. Start leaving comments. In the blogging world, it’s all about relationships, so forge one with bloggers who could potentially review your book. 6 - Once you have your list and you’re familiar with the sites and/or built a relationship, contact the site about a review. Follow the submission guidelines exactly! Each reviewer is different, so don’t send out blanket reviews. Personalize and individualize. I’ve been following your site for a while now and have enjoyed your reviews. Would you be interested in reviewing my book? You can also list any awards or a really good review from a major reviewer or author. Do NOT send attachments, such as cover art or an Ebook, unless the reviewer requests it! 7 - Wait for a response. If there is no response within a week, the answer is quite likely no. If they request the book, be sure you get a mailing address for print books or send the correct format for Ebooks. 8 - If you are coordinating a blog tour or need the book reviewed by a certain time, be sure both of you understand and confirm dates. Book bloggers are often open to being part of a blog tour (if given enough time to read the book) or doing a giveaway, so discuss those options. 9 - Be patient and employ good people skills! If there is no set date or blog tour, the person will review it on his or her own schedule. There is also a chance that person may never review it. And there’s a chance that it might be a poor review. Either way, thank the person for the review and refrain from arguing if you disagree with the review. Pre-publication reviewers, book bloggers, authors, etc. who review books understand that their review can be used for promotional purposes. Unless they state otherwise, permission is not needed. Reviews can be shortened to blurbs and placed on the back of the book, inside the book, on your website, on a sell sheet or bookmark, etc. and used to help promote your book. Full reviews on Goodreads, Amazon, Barnes & Noble, etc. will give your book credibility and boost future sales. It’s never too late to gather reviews! Even after a book’s release you can continue soliciting reviewers. And with Ebooks, it doesn’t cost you a thing. Now, who’s ready to get some reviews? That's a good checklist. There are a lot of reviewers out there if we look. Great checklist. I read tons of books but don't get time to do a review for every one. I'd respond if someone asked me nicely. But I only review books I can respond to positively. A good list and whenever we get a request that is obviously a customized template it goes straight in the trash. I figure the person obviously doesn't care. I am on the reviewer side but I find these tips also useful to get an idea of what I should do and what is expected from me. Thanks, Diane! Thanks for the list and sharing your knowledge. 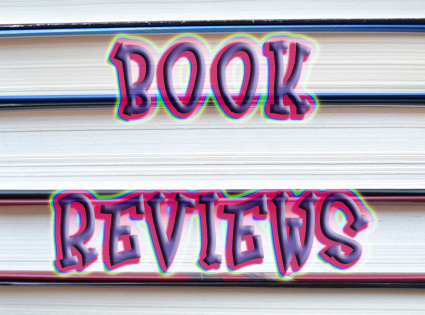 I review books, for authors who write in the genres I read/write. If an author wants a review, gifting a copy to that review person is a good way to forge a relationship. I've had authors want a review, but they tell me to contact their publisher for a copy (a suspense author) or buy the book first (a YA author). Not a good way to operate. It's a two-way street, like most things in life, you get what you give. If you have $400 to drop, Netgalley seems to be the place authors are going these days. Great advice. I never think to do these sorts of things. Didn't realise getting reviews was so difficult. These sound very helpful tips. Annalisa, that is a good idea. Denise, that's a good policy. Maurice, it just takes a few minutes to personalize and customize a request, too. DG, those authors should contact their publishers themselves! Mary, I've looked into it, and it's expensive on both ends. You are so great to have as a blogger friend. I always learn something. Your book is laying open on my desk right now. I'm saving this for when its time. Thanks. Thanks so much for the tips. I really appreciate them. Such great advice for when I have a book actually ready for reviews :) thank you! This is one area I know I need to improve on. Your list is quite helpful! I need to do more of this. Thank you for this info. Mighty fine tips. Marketing is our responsibility whether we're traditionally or self-published. There's a certain amount of leg work we've got to do ourselves. Congrats on the review, Susan. Milo, the author needs to do most of it. Fabulous tips yet again, Diane. I adore you!